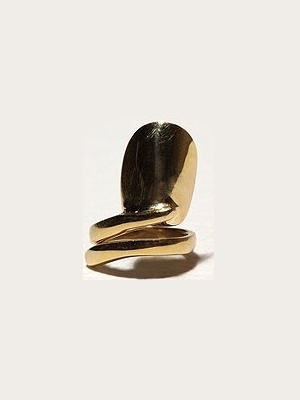 Accessories: Nail Rings- Cool or Creepy? 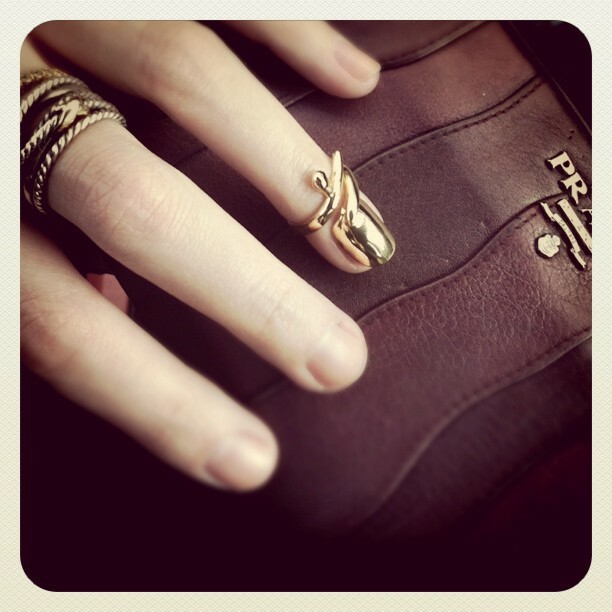 The first time I a saw nail ring, it was on Nicole Ritchie in the March 09 issue of Blackbook Magazine. Since then, they’ve been in other editorials and music videos but nowhere mainstream. That is, until recently. All of a sudden they are a regular feature on my Google Reader. Real girls all over the world have started to sport them. The digit-enhancers are making their way to the top of my list of latest obsessions, too. 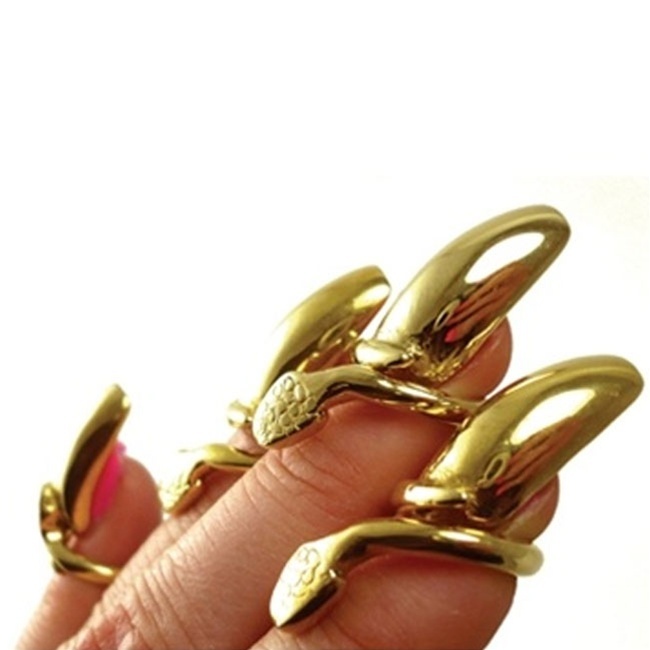 They’re gold, gaudy, and the ability to accentuate a fresh mani. What’s not to love? Though there are a few styles that are on the weird side. 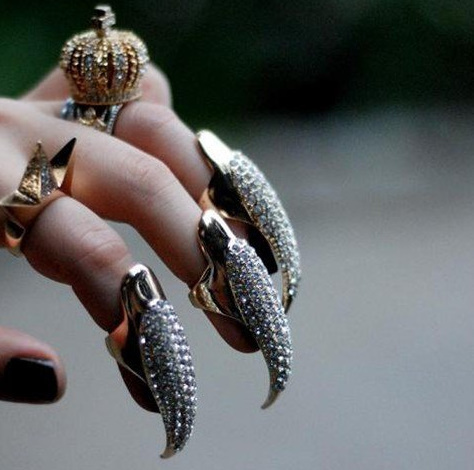 See: “Cat Claws” below. 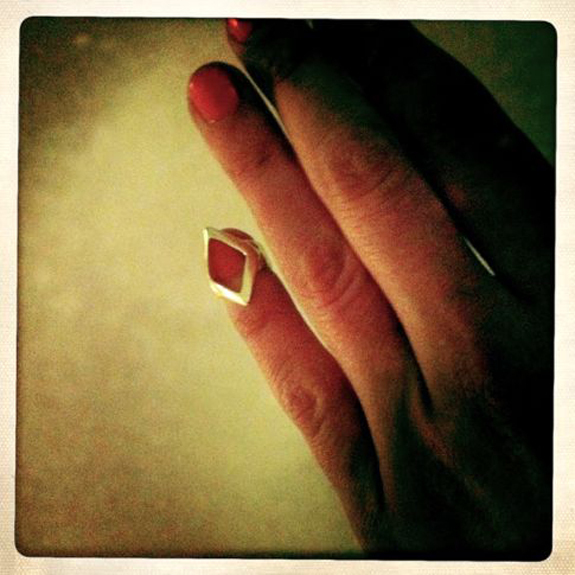 What do you think about this new form of finger-bling? Is it the hot new nail art or not for you? Atlantic-Pacific is always in trend!